If you are looking for some coupons and freebies to to help you save on dinner on the town, date nights, and for when you need a break from cooking, then you’re in the right spot! While we certainly know that eating out is more expensive than eating in, it is nice to treat yourself and your family every now and again to a meal out on the town. Our family eats out 2 or 3 times a month, and we’ve been able to do so for less than $60 for the month…in part because of all the great coupons, daily deals, and other offers from restaurants in our area. 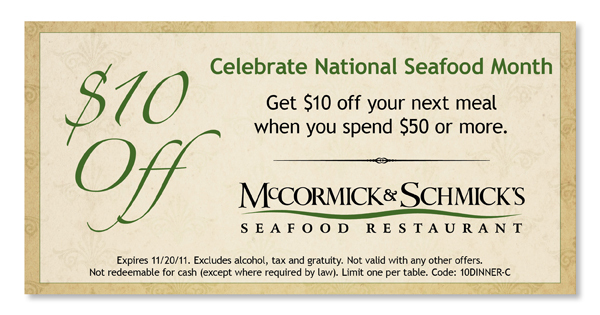 Check out the latest coupons that will help you spend less on your next “out to dinner” night! Thanks to Savings Lifestyle, Coupon Cravings, Common Sense with Money, Surviving the Stores, and Stretching a Buck for helping us compile this list!